Launchpad couldn't extract a status from 9676 on Edgewall Trac. I think this is either a bug in trac integration, or a misconfiguration in your setup: it looks like it can't find any repositories in the directory it's looking in. any other suggestion - would love to get this working!! This RepositoryIndex thing is a trac issue. 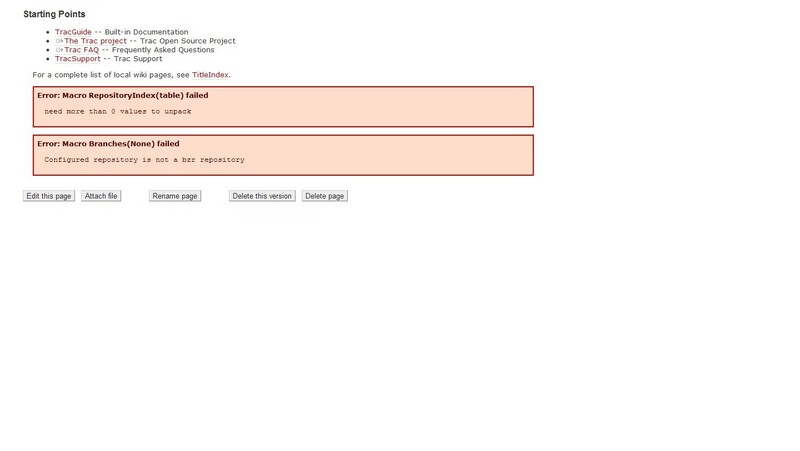 Reported upstream as http://trac.edgewall.org/ticket/9676 and attached a fix there. The error from the Branches macro your first image shows is a different thing, though. Will investigate that. If you want to track progress on that, feel free to file a separate bug report for trac-bzr describing just that problem.